A warm welcome back to our penultimate look at Carpentry and Joinery terminology. This time, we take a magical mystery tour through letters T through to U, so if you’ve ever wondered what on earth a tease tenon is or how wood can be unsorted or upset, read on…you may learn something quite interesting! We think Mr Stephen Fry would certainly be intrigued by this collection! TImber that has undergone pressure treatment, applied under vacuum and pressure impregnated by soaking. Provides protection against fungi and insects with slight fire resistance. It is intended for wood exposed to the weather and is more often than not rough sawn timber. An acid that is corrosive to ferrous metals and eats into the metal and leaves a blue/black stain on the timber. Found in such timbers as Oak, Walnut and Mahogany, the Tannin is what makes the timber more durable. Tenons reduced in width, so that they can cross each other at right angles for timbers in the same level. The picture below left shows how the tenons cross each other within the mortice, below right shows the finished joint complete within the mortice. A strap hinge, shaped like the letter ‘T’, and commonly found on light duty exterior doors and gates. Also known as a ‘Cross Garnet Hinge’. A pattern or mould made of very thin timber and used to mark the material to the required shape. Normally used in repetition work where several items of the same shape are being made. The end of a piece of wood that is reduced in thickness so that it can be inserted into a mortice, or recess, within another piece. A machine used to cut tenons. The inset picture shows the cutting heads at work. Small saw used for the cutting of the shoulders of a tenon (if a tenoner is unavailable!). Also used for any small work where accuracy is required. A marine insect very destructive to timber. A shipworm. See Teredo Navalis. Timber that has been modified by in essence being baked within a kiln. This modification gives the timber exceptional stability and resistance to fungi. Generally used as cladding and decking as the modification it undergoes within the kiln means the timber has a brittle nature. Two types of Softwood are usually used for Thermowood, Finnish Redwood and Radiata pine. For more information please visit the Thermowood website. In the absence of a tenoner then we use a Tenon saw! A machine for planing the timber to the desired thickness. In most cases, this is used after you’ve surfaced planed the timber giving a square face and edge. Thicknessers can be stand alone machines or one part of a planer/thicknesser which combines the surface planer (for the squaring up) and the thicknesser. A Cill or Sill to an external door. A small groove on the underside of projecting timbers, to break the flow of water. Small planes used for forming mouldings on curved work. A type of upset in timber where the timber fibres are broken across the grain. See also ‘Upset’. Any timber member used to prevent two members from separating or spreading. A triangular strip of wood used at the eaves to tilt the bottom course of slates or tiles so that the courses that follow bed with a close joint. The wood from trees, once it has been cut and prepared for use. Temporary fastenings for large, heavy timbers that are used when ‘shoring up’. Timber is split into five durability classes, these classes are dependent on how long a sample of untreated timber will last before it shows signs of rot. We have a handy infographic on timber durability & methods of testing here. Thin pieces of wood used to strengthen joints, still used but more often than not Biscuits are now used for convenience. The top horizontal member of a piece of framing, also known as the head. A large semicircular moulding or bead. Often found on Skirting Boards as shown. A tool for drawing circles and elliptical curves, think of a large compass! Short for the Timber Research and Development Association, who are an internationally recognised centre of excellence on the specification and use of timber and wood products. You can find out more on their website. An intermediate horizontal member of a frame, between the head and sill. The top, horizontal surface of a step. A large wooden pin used to secure a tenon. Often this is incorrectly called a Dowel. Trammel heads, used for drawing curves of all kinds! The act of straightening or squaring the edges of a frame, or forming an opening in a roof or floor. The Joist supported by the two common joists and in turn carrying the intermediate common joists. It is used to form an opening within a floor. The Common joists carrying the trimmer. A self contained, triangulated frame, of wood (can also be metal! ), arranged to transfer the loads acting on a frame to the outer supports. Joints fitted to suit warped members of framing. A catch or button for a door, commonly found on shed doors. Can be made from metal or timber. A combination of tenon and housing joint, for bearing timbers at right angles to each. Commonly found in roofing and joists but largely redundant these days thanks to joist hangers, etc. Cross grain in timber, making it unfit for construction work. It is caused by the wind twisting the trunk of a tree growing in an exposed location. A shoulder cut out of square to ensure a tight joint on the face. The picture (right) shows an exaggerated undercut joint, with the square used just to highlight the angle. Normally only used when the face of the joint is the only part that is visible. A visual grade of sawn softwood. Basically, you start with a stack of timber, and the stack is sorted visually for the size of knots etc. The first timber to be removed is the ‘Sixths’ which is the lower grade from the stack, next to be removed is the ‘Fifths’ grade of timber. Once all the ‘Sixths’ and ‘Fifths’ have been removed, the remainder of the stack is unsorted; you’ve sorted from this stack, hence the name Unsorted. You can read more on this at Joinery grade softwood. A defect in timber due to faulty felling, or severe shock. The timber fibres are broken across the grain. Also know as shake, thunder shake, lightning shake, rupture, and cross-fracture. 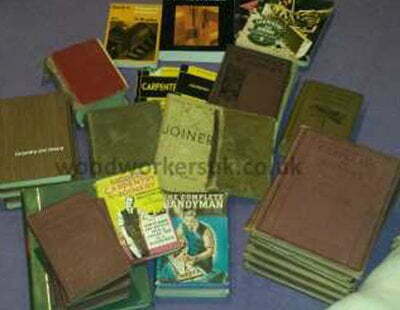 Thats it for part 10 of our Carpentry and Joinery glossary. Next time we will be here with part 11 which is the final part, until then I shall rack my brain for a term beginning with ‘Z’! Answers on a postcard to the usual address if you can think of any that I can add!